A cash dividend is money paid to stockholders, on a per share basis, typically from the corporation's earnings. Dividends are a great source of recurring income for both active investment and retirement portfolios. Dividends are derived from a company's profits, so when announced, it is often considered a good sign of financial standing. From an investment strategy perspective, buying established companies with a history of ongoing or increasing dividends generally can add both stability and income to a portfolio. While many firms pay regular dividends (usually quarterly), there may also be special events that also result in the disbursement of cash dividends to shareholders, such as legal settlements. Each company establishes its own dividend policy and can decide if a dividend cut or an increase is appropriate. All dividends must first be declared by the board of directors before being paid. A Dividend Yield is represented as a percentage and can be calculated by dividing the dollar value of dividends paid in each year per share of stock by the dollar value per share of the stock. Currently, there are several thousand stocks that pay regular Dividends, with yields ranging from a very small amount to as much as 10% or more of the equity value. These entities are varied in scope, focus and risk and include: Corporations (such as GM), Investment Companies (such as Closed End Funds, or CEFs), Master Limited Partnerships (MLPs) and Real Estate Investment Trusts (REITs). Companies that pay dividends usually (although not exclusively) have stable cash flows. 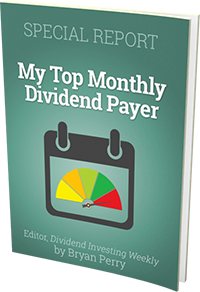 Some companies may actually establish dividend payout targets (or payout ratios), which are based on generated earnings in each period or year. Announce Date — the day the board of directors announces its intention to pay a dividend. On the announce date, a Record date and dividend amount also announced. Ex-Dividend date — the day on which shares bought and sold no longer have the right to be paid the most recently declared dividend. In the United States, it is typically 2 trading days before the Record date. Record date — shareholders registered in the company's record as of the record date will be paid the dividend. Registration is usually automatic for shares purchased before the ex-dividend date. Payment date — the day on which the dividend will actually be paid to shareholders or credited to their bank account. It is relatively common for a stock's price to decrease on the ex-dividend date by an amount roughly equal to the dividend paid. This reflects the decrease in the company's assets resulting from the declaration of the dividend. In real estate investment trusts (REITs) and royalty trusts, the dividends paid may be higher than the company’s current earnings. This can be sustained since earnings based on generally accepted accounting principles are based on asset historical values and do not recognize the current value of real estate holdings and other reserves on the investment trusts financial statements. When considering investing in a Dividend paying equity, it’s important to know about the company’s fundamentals as well as the amount, yield, frequency of payment and the date on which you must own the equity to qualify for payment. MarketChameleon.com provides a substantial set of Dividend related information in the Dividends section of our site, as well as details on company fundamentals for each listed equity. Additional information on Dividend history and projected dates and amounts can also be located on each individual equity’s "Dividends" tab.